Visiting The Oxford Museum in Oxford, it’s hard not to be impressed by the amazing collection of artifacts telling our region’s history. From models of skipjacks, to Indian arrowheads and stone tools, to trophies of some of the earliest regattas, to carved decoys. The Oxford Museum began in 1964 with the finding of 18th and 19th century bottles and pottery shards. Since then, the museum has evolved to include a collection of artifacts that help tell the 325-year history of this quaint historic town. The museum’s exhibits tell the story of Oxford’s people, their way of life, and their contribution to our country since the 1600s. Treasures in its collection include old photographs, clothing, antique engines, boat building tools, models, paintings, furniture, documents, war items, Indian items, pottery, china and waterman tools. Over the years, local families have shared family treasures. One of three original illustrations by artist Consuelo Hanks are currently on display at The Oxford Museum. According to Stuart Parnes of Oxford, President of the Museum’s Board of Directors, “We are less of a classic history museum and more of a community museum. Our key challenge is to stay relevant and interest people who might not be interested in history. 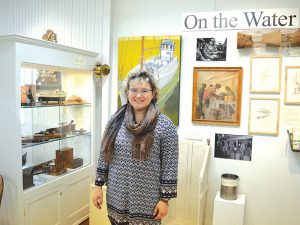 Stuart retired to Oxford after serving as Executive Director of Connecticut Humanities, President of Chesapeake Bay Maritime Museum, Executive Director of Connecticut River Museum, and Director of Exhibitions & Interpretation at Mystic Seaport Museum. He hopes to expand the museum’s role in new ways. Elizabeth Neustadt stands next to one of the museum’s current exhibitions, On the Water, which will be on display at the Museum through the fall of 2018. An exciting new development is the museum’s recent selection by Maryland Humanities to be one of six sites in Maryland to host “Water/Ways,” a traveling Smithsonian Institution exhibition from July 13, 2019 to August 24, 2019. The Oxford Museum will join the Historical Society of Baltimore County in Cockeysville, the Calvert Library in Prince Frederick, Cambridge Main Street, Crisfield Heritage Foundation, and Washington County Historical Society in Hagerstown. The exhibit dives into water – an essential component of life on our planet, environmentally, culturally, and historically. “Water/Ways” explores the water’s effect on the landscape, settlement and migration, and its impact on culture and spirituality. The Maryland tour will showcase the state’s unique water stories and history of locally generated work. The exhibit is the sixth Museum on Main Street project brought to small communities through the state by Maryland Humanities and this is the first time a Museum on Main Street exhibition will visit Talbot County. Currently, the museum is hosting two of its own exhibitions, “Oxford: There’s No Place Like Home” and “On the Water,” both on display through the fall of 2018. The “Oxford: There’s No Place Like Home” exhibit highlights some of the historic structures of Oxford. Each piece featured within the exhibit shows a historical snapshot of the building compared to a photo of the same building from just this year. The “On the Water Exhibit” highlights Oxford’s rich history on the waters of the Tred Avon River, its tributaries, and the Chesapeake Bay. 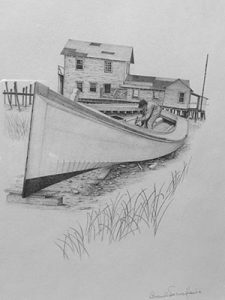 The exhibit features pieces about watermen, the oyster and crabbing industries, boating, and more. Also on display are new items added to the museum’s permanent collection. Included are three original illustrations, pencil on paper, by artist Consuelo Hanks. These drawings are part of a recent gift to the Oxford Museum of 13 illustrations that artist Consuelo Hanks produced for William Warner’s 1976 Pulitzer Prize-winning book, Beautiful Swimmers: Watermen, Crabs and the Chesapeake Bay. 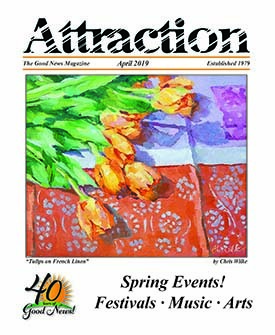 Consuelo was born and lived most of her life in Maine, where she created watercolor paintings and pencil drawings and illustrations for the New Yorker magazine, Wooden Boat magazine and many books. She was a founding member of the American Society of Marine Artists. The museum’s permanent collection takes visitors through Oxford’s history. One of the most interesting artifacts is the original seal of Oxford (c. 1683). On September 21, 1694, Oxford, the oldest town on the Eastern Shore and a new western shore town called Ann Arundell (soon afterward named Annapolis), were named the two sole ports of entry for the entire Maryland province, changing the course of Oxford’s history. Other items of significance include Lt. Colonel Stench Tilghman’s Revolutionary War sword, decoy carvings by Newman Valliant, a U.S. Coast Guard lighthouse lens like the one that was located at the Benoni Point Lighthouse, a rare folk-art oyster clock (c. 1890), an original chalk board sketch of Eastern Shore boats by artist John Moll, and the bench of Oxford Sailmaker David A. Pritchard. The museum offers a booklet with a self-guided walking tour of Oxford, highlighting the town’s architecture, fences and unique brick paving. The museum’s website, oxfordmuseummd.org, which was recently redone through a grant from the Talbot County Arts Council, also offers a virtual walking tour online for people who can’t do the physical tour. Group walking tours are also available upon request. Because the museum is run by volunteers, it is currently looking for new volunteers to serve as docents. A volunteer training program is available. The all-volunteer museum also relies on grants and donations to operate. For further information, visit The Oxford Museum at 101 South Morris Street, Oxford, MD 21654 or call 410-226-0191. The Museum is open Oxford Day (mid-April) through the Waterfowl Festival (mid-November) and its hours of operation are Monday, Wednesday, and Saturday (10 a.m. to 3 p.m.), and Sunday (11 a.m. to 4 p.m.). Entrance to the museum is free, but donations are accepted. Membership is also available.